Launched by: The state government of Uttar Pradesh. To start Berojgari Bhatta 2018 for unemployed youths. The Uttar Pradesh State Government will be going to begin a new yojana named Berojgari Bhatta 2018 for the jobless youths. Consequently, all the educated youths who do not hold any employment can apply for this UP Unemployment Allowance Scheme. Hence, the state government will grant financial support to the youths to get the desired job. Candidates from all the areas can apply online to obtain job-related knowledge in the government and private sector. To get Unemployment Allowance (Berojgari Bhatta), candidates have to make online registration with the Employment Department of Uttar Pradesh government. Unemployed candidates who are striving to get a job can use these funds to improve their abilities. Under UP Berojgari Bhatta Scheme 2018, the scholars who have completed their graduation degree and don’t have any kind of work or earning sources will be supported by the Uttar Pradesh State government financially. Afterwards, on the homepage of a website, click the “पंजीकरण” link present in the main menu or directly click this link. Then, Berojgari Bhatta 2018 Registration Form will seem. 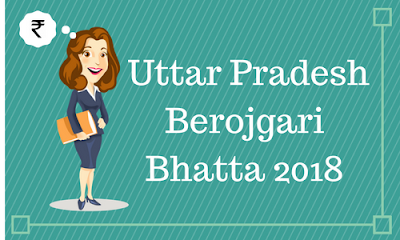 Uttar Pradesh Berojgari Bhatta 2018 Registration Form. Here applicants have to fulfil all the required details which include a Mobile number, Password and E-mail id and then click the enter button. Accordingly, applicants have to confirm their mobile number through a One Time Password and end the Registration Process. In the next step, the applicants will Login and complete their profile to get the updates on various jobs on the registered mobile number. Moreover, applicants can take a printout of the complete application form to apply for the UP Berojgari Bhatta scheme. Applicants will get a financial support of Rs. 1000. Consequently, the qualified applicants will get this unemployment allowance per month. Hence, applicants will get this amount till the time they get a job. This yojana will motivate and drive the applicants for more education as well. The applicant must be a stable citizen of Uttar Pradesh. Applicants must have passed at least 10th standard examinations. The applicant must be currently jobless it means he must not be working in any private or government sector. Furthermore, all the candidates must lie in the age group of 25-40 years. The entire family income of the applicants from all sources must not exceed Rs. 36000 yearly. Registration Certificate of Employment Exchange. Certificate of Educational Qualifications (10th Class Mark sheet or above). Rs. 10 Non-Judicial Stamp paper.